Transform that quiet caterpillar in your group into an expressive butterfly! 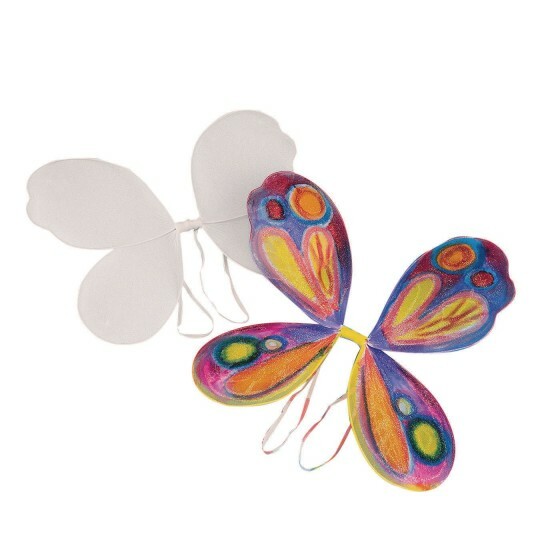 Fun to decorate wings are the perfect play-and-pretend craft. Measures 14" x 12". Made of acrylic. Permanent or fabric markers recommended (sold separately). We recommend covering work surfaces before coloring as markers may bleed through fabric. Students loved these had great fun with them! The bend very easily but can be reshaped. We decorated with watercolors- they are beautiful!